Indiana | Ag Moos "Growing the Land"
INDIANAPOLIS, Ind. — Just as those Indy Cars are fueled to perfection for 500 miles at blistering speeds of 215 to 225 mph, that famed Bottle of Milk fuels the checkered-flag dreams of winners at the finish line of the Indy 500. It’s the honor of the Milk People (aka dairy farmers) to get it there. While I didn’t meet this year’s Indy 500 Milk Woman — I did meet her husband and children during a visit to the farm last March while passing through Northern Indiana. Kim Minich, Triple M Dairy, LaPorte, was the rookie last year when Milk Man Joe Kelsay, Kelsay Farms, Whiteland, had the honor of delivering the “coolest trophy in sports.” This year, Kim is the veteran, and her rookie understudy is Andrew Kuehnert, Fort Wayne. They all hail from six and seven generation Indiana dairy farms. Last year, as the ‘rookie,’ Kim learned the ropes for this year’s 102nd big race at the Indianapolis Motor Speedway, where legends are born, speed and tradition rule, and milk always wins! During my brief March visit to Triple M Dairy where Kim and her husband Luke are part of the dairy farm that has been in his family since 1909, their children Anna, Kate, Mary, Will and Calvin were looking forward to May. They talked of how exciting it was to see Mom’s rookie year as Milk Woman in 2017 … How it felt like the dairy farmers were celebrities like the Indy car drivers — two long and storied traditions brought together when three-time Indy 500 winner Louis Meyer requested buttermilk to quench his thirst after his second win in 1933. According to American Dairy Association Indiana (ADAI), Meyer was then photographed in Victory Lane drinking milk after his third win in 1936. Milk was presented off and on during the next several years until, in 1956, the Bottle of Milk was made a permanent part of the post-race celebration by Indianapolis Motor Speedway owner Anton “Tony” Hulman. Today, the milk choices of the drivers are kept cold in a secure “Winners Drink Milk” cooler. The drivers are polled ahead of time on their milk preferences — whole milk (3.5%), 2%, 1% or fat-free, and the cooler is stocked with these choices, so the ‘milk people’ are ready. For this year’s race, 17 drivers chose the whole milk option, 10 chose 2%, 4 chose fat-free and 2 said any milk was fine with them! 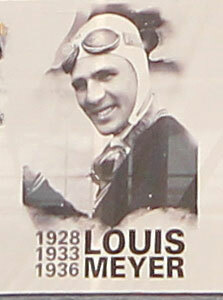 Hoosier driver Ed Carpenter chose to up the ante with a request for the throw-back choice of Louis Meyers: Buttermilk. That could be a lucky move as he is considered a strong contender going into the race scoring a pole position. Tomorrow, as always, the milk will be kept under lock and key in a secret location with one of the Milk People keeping a watchful eye at all times. This year, in fact, the Milk People will be the first to enter the Indianapolis Motor Speedway grounds at 5 a.m., Winners Drink Milk cooler in tow. In 2016, the 100th running ended with a milk toast by spectators. The children wonder what milk drama will unfold this year. Each year the ADAI selects a dairy producer to represent Indiana’s 1100 dairy farms as the Milk Man or Milk Woman. People flocking through the gates want to talk to the Milk People (aka dairy farmers), and for weeks ahead of the big day, they have opportunities to tell the story of milk and dairy farming. They even co-host the Fastest Rookie Luncheon earlier in the week. Kim married into dairy farming, and in one pre-race-day interview, she explained how she grew up in the Indianapolis suburbs and would watch the Indy time trials with her father. Today in her career as a nurse-practitioner, Kim says she has a big appreciation for the milk-side of the big race and appreciates the opportunity to tell others about the nutritional goodness of milk and dairy products as well as the life their family lives — like other dairy farm families across the country — caring for the animals and the land. The children are passionate about the farm too. They have a growing array of 4-H projects that make your head spin: Cattle, chickens, rabbits, goats, horses. In fact, while the dairy farm is home to 1000 mainly Holstein milk cows, Luke and Kim’s older children each have a few of their own breed — Anna with Jerseys, Kate with Brown Swiss, Mary with Shorthorns, and Will with Ayrshires. They love their chores and are happy to show visitors, like me, around. “This is a great way to raise a family and produce a quality product for other families to enjoy,” says Luke on a brisk March day at the farm. As the sun rises tomorrow, drivers and crews will be getting ready, spectators will be pumped, our nation’s service men and and women will be honored, anthems will be sung and tributes given… and after 500 miles of exhilarating speed, the winner drinks milk! So chill your milk, and get ready. The thrill of the 102nd Indy 500 is hours away. Here’s a video teaser from the 100th Indy 500! Wait for it… The powerful and patriotic blend of freedom and speed that ensues after the recognition of our military, the moment of silence for fallen heroes, the singing of America the Beautiful, the National Anthem followed by the Blue Angels flyover, the singing of Back Home in Indiana, the anticipated “Gentlemen Start Your Engines”, the breaking free of the pace cars as the field of Indy cars passes the paddock with Old Glory in tow! 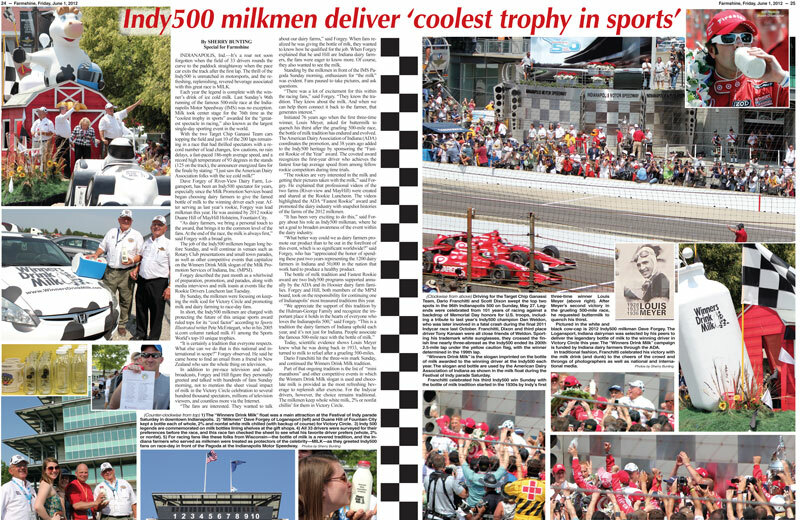 On Memorial Day weekend a year ago, I had the honor and privilege of being one of three agriculture journalists invited to cover the Indy-500 and the milkmen who present the famed glass of milk to the winner. 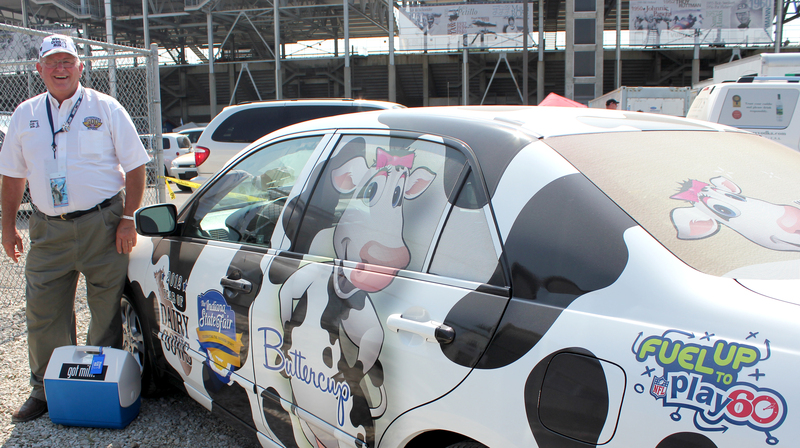 This International motorsports tradition is also an Indiana dairy farm tradition and underpins events for dairy promotion all year. Below is the story I wrote and some of the centerfold photos from last year’s event as we look forward to tomorrow’s run! 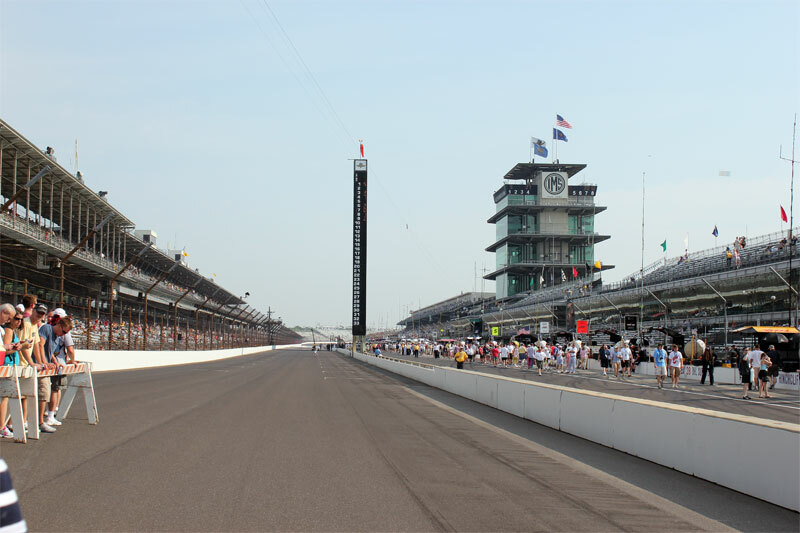 INDIANAPOLIS, Ind.–It’s a roar not soon forgotten when the field of 33 drivers rounds the curve to the paddock straightaway and the pace car exits the track. The thrill of the Indy500 is unmatched in motorsports, and the refreshing, replenishing, revered beverage associated with this great race is MILK. Each year the legend is complete with the winner’s drink of ice cold milk. Last Sunday’s 96th running of the famous 500-mile race at the Indianapolis Motor Speedway (IMS) was no exception. Milk took center stage for the 76th time as the “coolest trophy in sports” awarded for the “greatest spectacle in racing,” also known as the largest single-day sporting event in the world. Dave Forgey of River-View Dairy Farm, Logansport, has been an Indy500 spectator for years, especially since the Milk Promotion Services board began choosing dairy farmers to give the famed bottle of milk to the winning driver each year. After serving as last year’s rookie, Forgey was lead milkman this year. He was assisted by 2012 rookie Duane Hill of MayHill Holsteins, Fountain City. “As dairy farmers, we bring a personal touch to the award, that brings it to the common level of the fans. At the end of the race, the milk is always first,” said Forgey with a broad grin. The job of the Indy500 milkmen began long before Sunday, and will continue in venues such as Rotary Club presentations and small town parades, as well as other competitive events that capitalize on the Winners Drink Milk slogan of the Milk Promotion Services of Indiana, Inc. (MPSI). Forgey described the past month as a whirlwind of preparation, promotion, and parades, along with media interviews and milk toasts at events like the Rookie Drivers Luncheon last Tuesday. By Sunday, the milkmen were focusing on keeping the milk iced for Victory Circle and promoting milk and dairy farming to race-day fans. In short, the Indy500 milkmen are charged with protecting the future of this unique sports award ruled tops for its “cool factor” according to Sports Illustrated writer Pete McEntegart, who in his 2005 si.com column ranked milk #1 among the Sports World’s top-10 unique trophies. “It is certainly a tradition that everyone respects. What else can we do that is this national and international in scope?” Forgey observed. He said he came home to find an email from a friend in New Zealand who saw the whole thing on television. In addition to pre-race television and radio broadcasts, Forgey and Hill figure they personally greeted and talked with hundreds of fans Sunday morning, not to mention the sheer visual impact of milk in the Victory Circle celebration to several hundred thousand spectators, millions of television viewers, and countless more via the Internet. “The fans are interested. They wanted to talk about our dairy farms,” said Forgey. When fans realized he was giving the bottle of mlk, they wanted to know how he qualified for the job. When Forgey explained that he and Hill are Indiana dairy farmers, the fans were eager to know more. Of course, they also wanted to see the milk. Standing by the milkmen in front of the IMS Pagoda Sunday morning, enthusiasm for “the milk” was evident. Fans paused to take pictures, and ask questions. Initiated 76 years ago when the first three-time winner, Louis Meyer, asked for buttermilk to quench his thirst after the grueling 500-mile race, the bottle of milk tradition has endured and evolved. The American Dairy Association of Indiana (ADA) coordinates the promotion, and 38 years ago added to the Indy500 heritage by sponsoring the “Fastest Rookie of the Year” award. The coveted award recognizes the first-year driver who achieves the fastest four-lap average speed from among fellow rookie competitors during time trials. “The rookies are very interested in the milk and getting their pictures taken with the milk,” said Forgey. He explained that professional videos of the two farms (River-view and MayHill) were created and shared at the Rookie Luncheon. The videos highlighted the ADA “Fastest Rookie” award and promoted the dairy industry with snapshot histories of the farms of the 2012 milkmen. “It has been very exciting to do this,” said Forgey about his role as Indy500 milkman, where he set a goal to broaden awareness of the event within the dairy industry. “What better way could we as dairy farmers promote our product than to be out in the forefront of this event, which is so significant worldwide?” said Forgey, who has “appreciated the honor of spending these past two years representing the 1200 dairy farmers in Indiana and 50,000 in the nation that work hard to produce a healthy product. The bottle of milk tradition and Fastest Rookie award are two Indy500 programs supported annually by the ADA and its Hoosier dairy farm families. Forgey and Hill, both members of the MPSI board, took on the responsibility for continuing one of Indianapolis’ most treasured traditions this year. Today, scientific evidence shows Louis Meyer knew what he was doing back in 1933, when he turned to milk to refuel after a grueling 500-miles. Dario Franchitti hit the three-win mark Sunday, and continued the Winners Drink Milk tradition. Part of that ongoing tradition is the list of “mini marathons” and other competitive events in which the Winners Drink Milk slogan is used and chocolate milk is provided as the most refreshing beverage to replenish after exercise. For the Indycar drivers, however, the choice remains traditional. The milkmen keep whole white milk, 2% or nonfat chillin’ for them in Victory Circle. Driving for the Target Chip Ganassi Team, Dario Franchitti and Scott Dixon swept the top two spots in the 96th Indianapolis 500 on Sunday, May 27. Legends were celebrated from 101 years of racing against a backdrop of Memorial Day honors for U.S. troops, including a tribute to last year’s Indy500 champion Dan Weldon, who was later involved in a fatal crash during the final 2011 Indycar race last October. 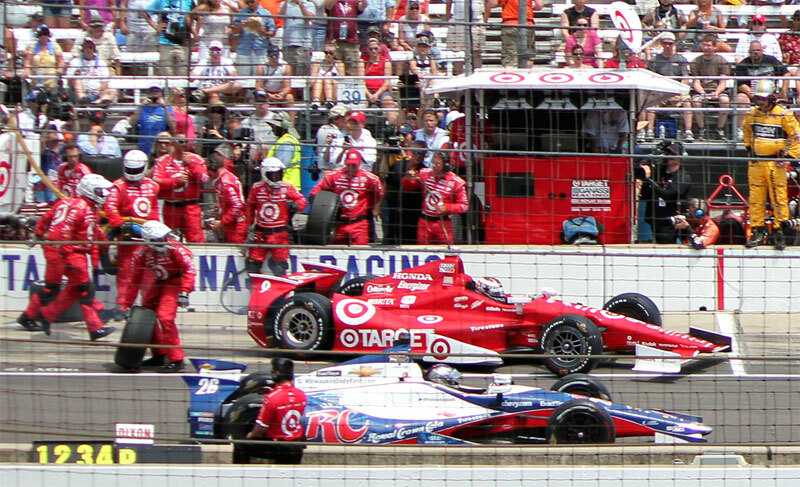 Franchitti, Dixon and third place driver Tony Kanaan were all close friends of Weldon. Sporting his trademark white sunglasses, they crossed the finish line nearly three-abreast as the Indy500 ended its 200th 2.5-mile lap under the yellow caution flag, with the winner determined in the 199th lap. 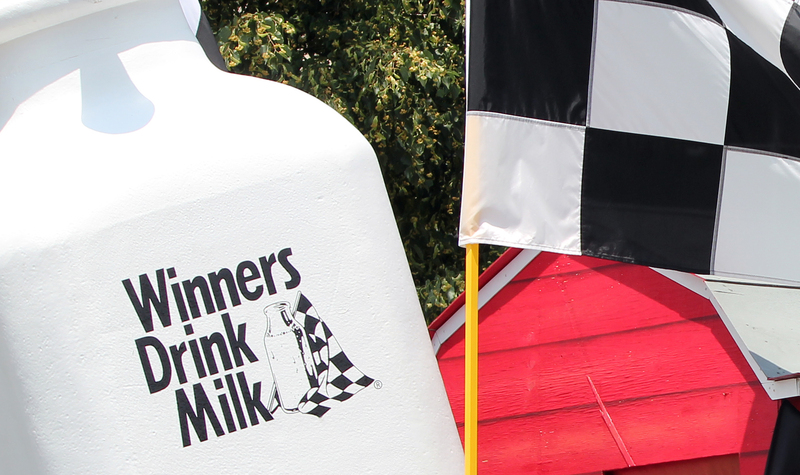 “Winners Drink Milk” is the slogan imprinted on the bottle of milk awarded to the winning driver at the Indy500 each year. The slogan and bottle are used by the American Dairy Association of Indiana as shown in the milk float during the Festival of Indy parade Saturday. 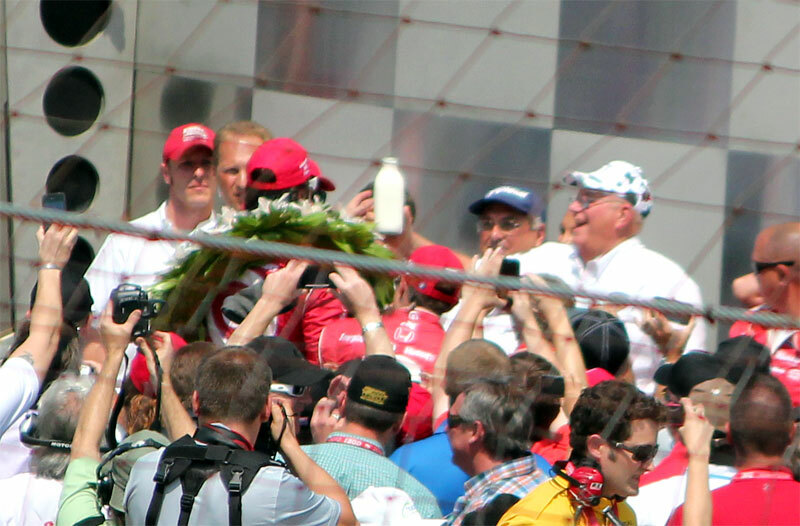 Franchitti celebrated his third Indy500 win Sunday with the bottle of milk tradition started in the 1930s by Indy’s first three-time winner Louis Meyer (above right). After Meyer’s second victory in the grueling 500-mile race, he requested buttermilk to quench his thirst. Pictured in the white and black cow-cap is 2012 Indy500 milkman Dave Forgey. 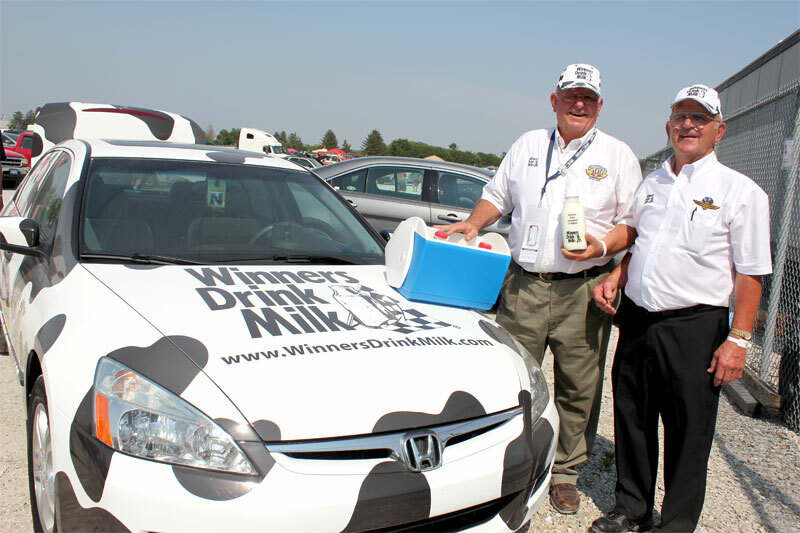 The Logansport, Indiana dairyman was selected by his peers to deliver the legendary bottle of milk to the winning driver in Victory Circle this year. The “Winners Drink Milk” campaign is funded by Indiana dairy farmers through the ADA. In traditional fashion, Franchitti celebrated his victory with the milk drink (and dunk) to the cheers of the crowd and throngs of photographers as well as national and international media. 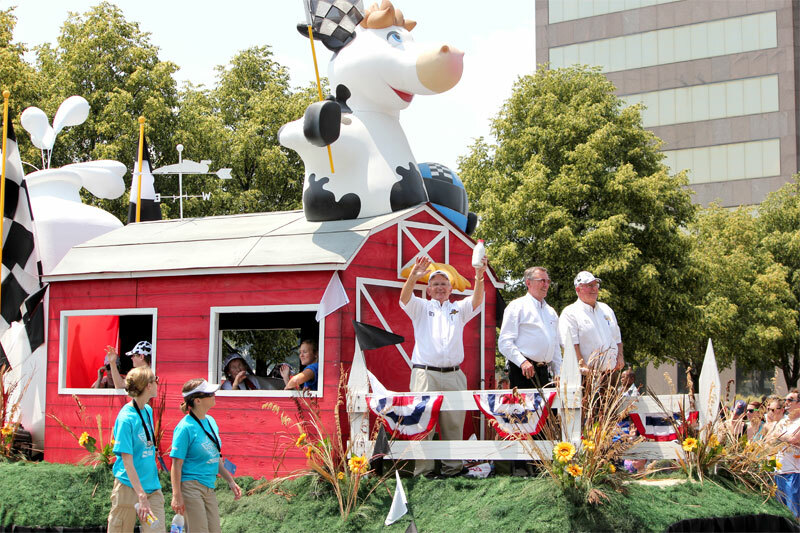 The “Winners Drink Milk” float was a main attraction at the Festival of Indy parade Saturday in downtown Indianapolis. “Milkmen” Dave Forgey of Logansport (left) and Duane Hill of Fountain City kept a bottle each of whole, 2% and nonfat white milk chilled (with backup of course) for Victory Circle. Indy 500 legends are commemorated on milk bottles lining shelves at the gift shops. All 33 drivers were surveyed for their preferences before the race, and this race fan checked the sheet to see what his favorite driver prefers (whole, 2% or nonfat). For racing fans like these folks from Wisconsin-the bottle of milk is a revered tradition, and the Indiana farmers who served as milkmen were treated as protectors of the celebrity-MILK-as they greeted Indy500 fans on race-day in front of the Pagoda at the Indianapolis Motor Speedway.